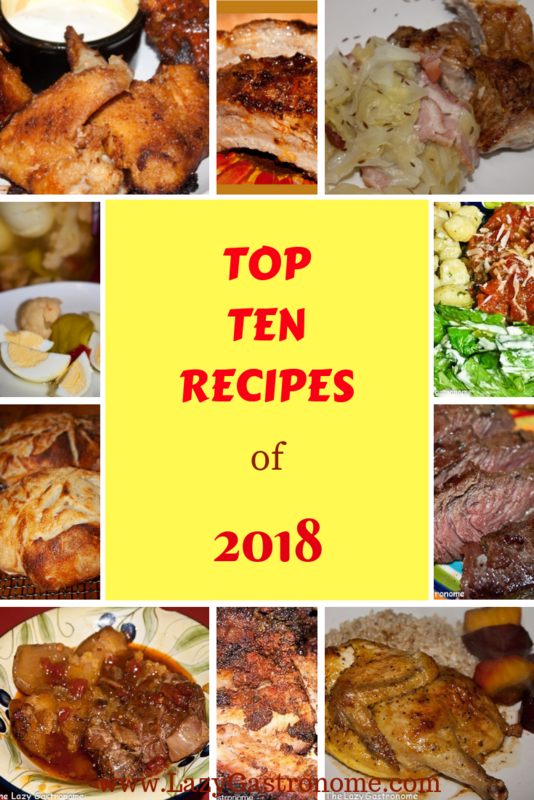 These tasty treasures are easy to make and great for any holiday brunch. 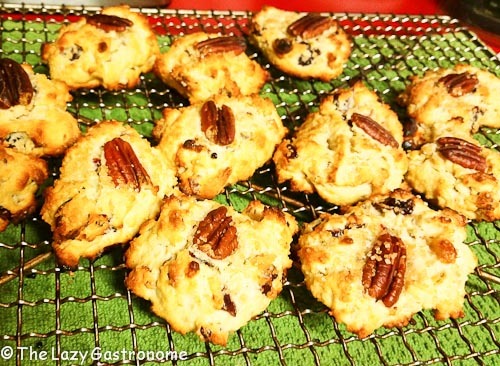 They aren’t the traditional triangle scone because the dough is soft like drop biscuits. Easy to make – great to eat – and they freeze well too. Add all the dry ingredients to a food processor fitted with a blade. 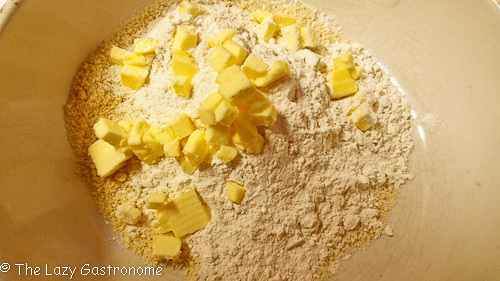 Cut the butter into small chunks and add to the bowl. 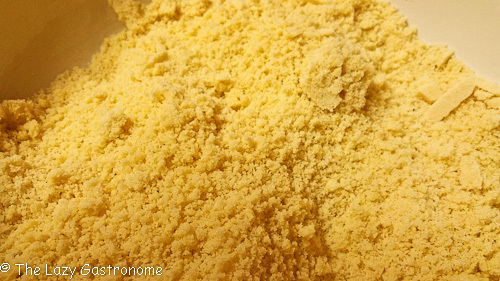 Process until all the ingredients are mixed and resemble coarse meal. Remove from the food processor to a bowl. Add the ginger, cranberries and pecans and mix well. 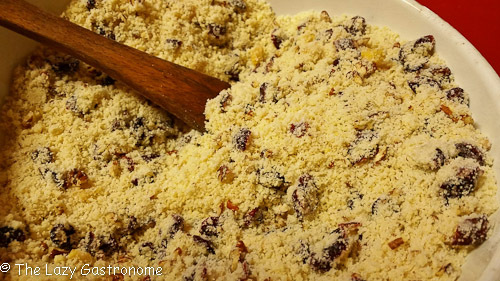 Add the milk and egg and mix until all the dry ingredients are incorporated. You will not have a dough like most scones. These are easier!! 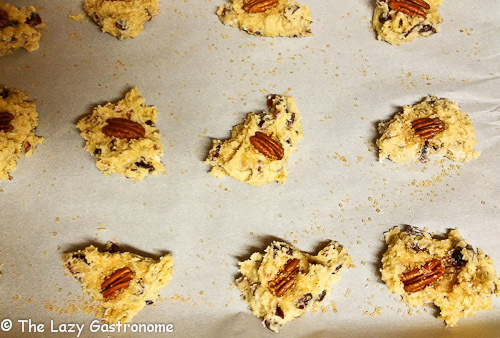 Drop the mixture in mounds onto parchment paper lined cookie sheets. Top each one with a pecan half and sprinkle with the turbinado sugar. Bake for 10 – 15 minutes, until the edges and tops are golden. Remove to wire rack to cool. 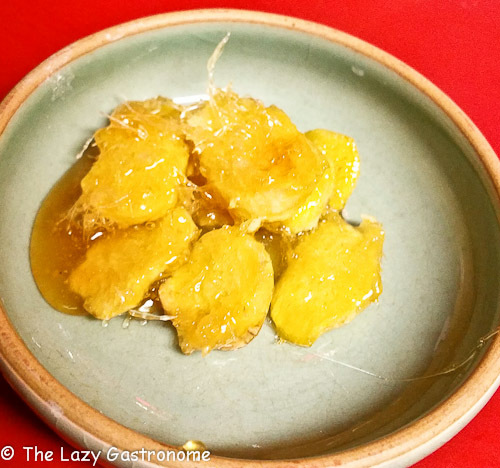 NOTE: You can purchase candied ginger or easily make your own. Take the skin off of a small knob of fresh ginger and cut into slices. Add the slices, ¼ cup of sugar and 1 Tablespoon of water. Heat to boiling. Simmer until the sugar begins to lightly brown. Remove the ginger and allow to cool. Chop to add to the scones. 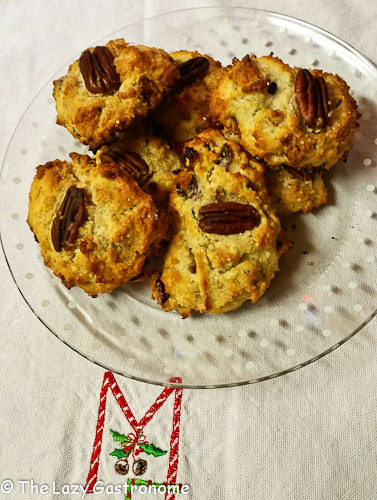 This entry was posted in Breads and Rolls, Breakfast, Brunch and tagged brunch, Christmas, cranberry, ginger, holiday, pecans, scones. Bookmark the permalink. This combination sounds delicious for scones. Thanks for sharing your recipe at the Over the Moon Link Party. Merry Christmas! 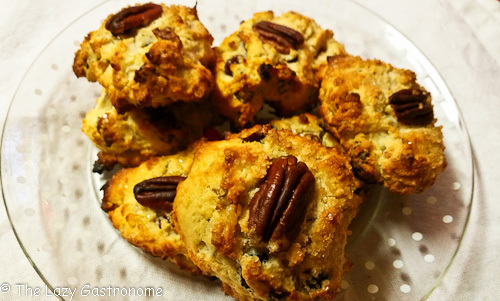 I’m a big fan of scones, these sound amazing! Thanks for sharing at What’d You Do This Weekend? Hope you and your family had a wonderful and Merry Christmas! They are really good. Made some for a brunch and my friend asked to take the left overs home – the best compliment!